First of its kind? Check. Black creators and almost exclusively black characters? Check. Unprecedented success immediately upon release? Check. Those things are true of the movie Black Panther movie, as most media followers know, but what you might not know is that there’s a classic comic book that also fits those descriptions. And it’s not a Black Panther comic book from Marvel. 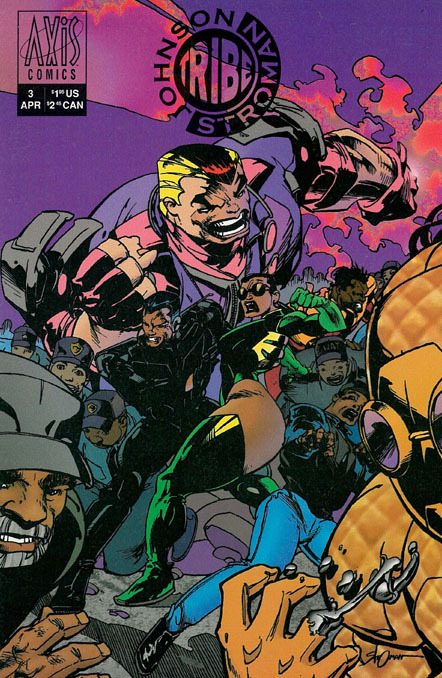 Tribe was unique in its day, as a major new release both written and drawn by African American creators, and having almost all black characters. 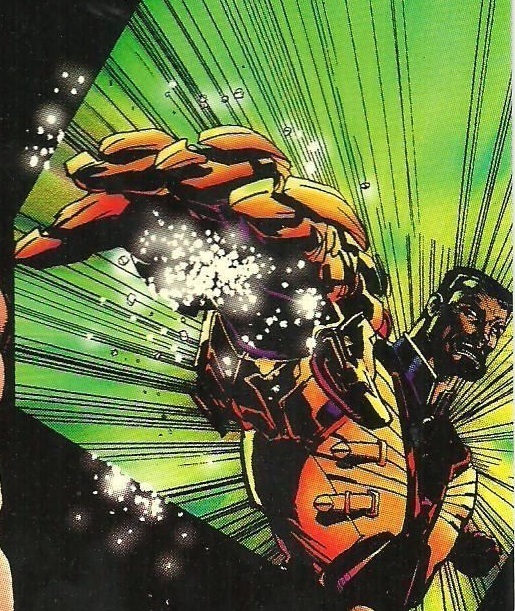 It was also notable because Issue #1 broke sales records when first released, though after that it was cancelled by Image comics for mysterious reasons. It moved to a couple other companies for a few more issues, and ended up with only four total. Unfortunately, the design and coloring of the next three issues didn’t match the one produced by Image, which I really like, making it one of my favorite all-time single issues. But even so, the other books are cooler than most comics out there, IMHO. 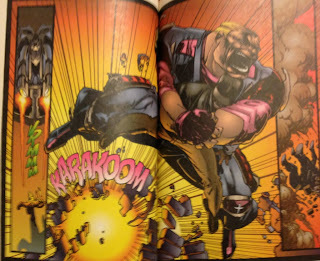 Though I know it’s not for everyone, I’ve liked Larry Stroman’s unique art style in other books, especially Alien Legion and the long-forgotten but way-cool graphic novel Punisher / Black Widow: Spinning Doomsday’s Web (the art inside, especially the rich coloring, is a lot better than it looks on the cover). 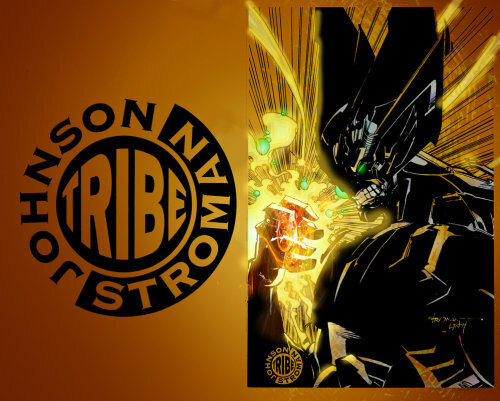 But Stroman really kills it with his art in Tribe–maybe because the project was so special and personal to him. I love the constant kinetic feel of the characters when they’re in action, and even if they’re just walking around. 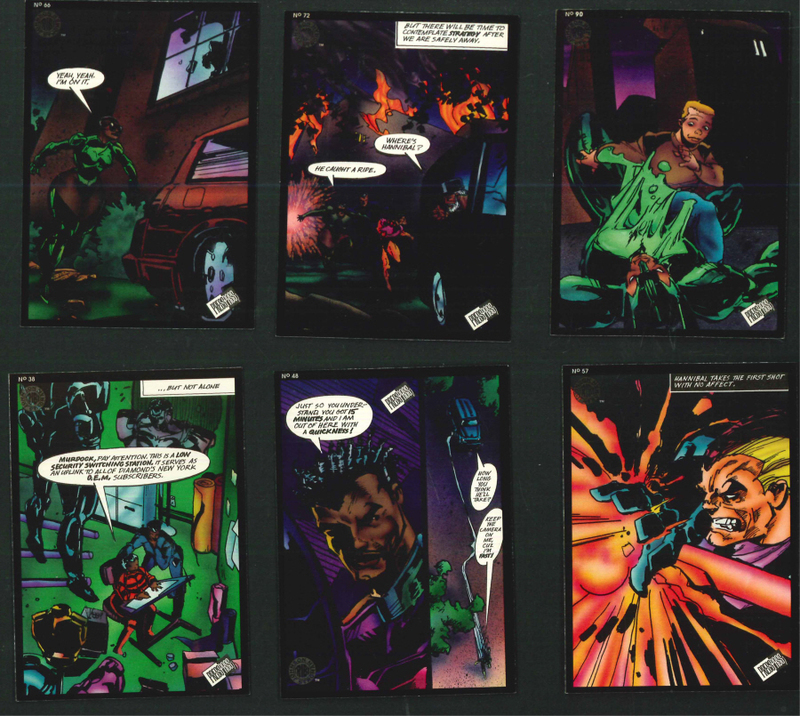 Johnson and Stroman also put out a trading card set that contained a complete new story, which can be read when you put the cards in order in a collector’s sheath. As you can see, the colors are really nice and rich like the ones in Issue #1, so the card set has become a favorite in my collection as well. So if you like Black Panther, check out Tribe, at least Issue #1. There are a lot of inexpensive copies available because they sold so many at first, but the series didn’t continue so they haven’t increased in value like other long-running comics. But I think it will be a worthy addition to your collection, or a good start if you’re just beginning to read comics.